Great review. I was sitting in the front row that night, and really enjoyed the show. I have videos of songs from that night at my YouTube channel that are not here. 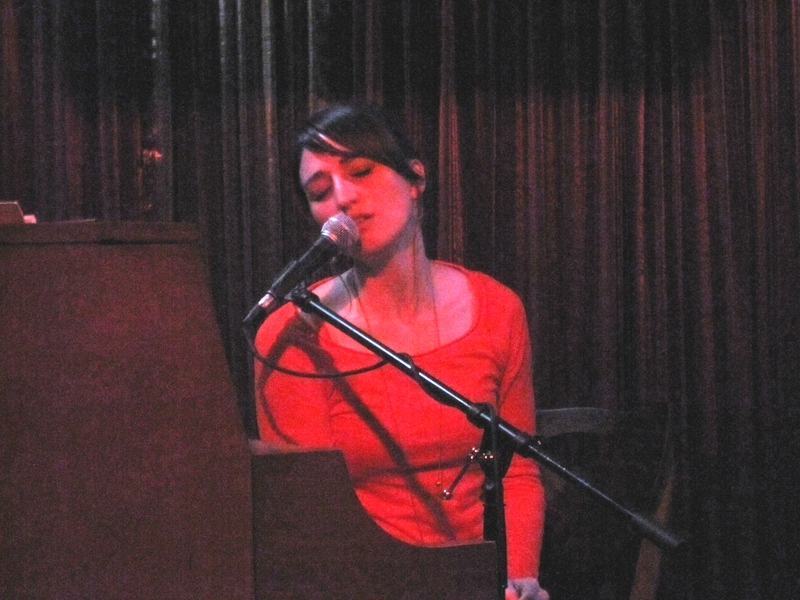 Feel free to come by my channel [http://www.youtube.com/violetskyye] and enjoy them, and also see some performances by the awesome Jay Nash, who was there that night, too. Great review, thanks for sharing your thoughts. I couldn’t agree more, she’s trully amazing. Her music is brilliant, and she’s hilarious =) ! Thank you so much for the videos too, they’re great. Thank you for your note and great Sara B fan site! Awesome review!! I was there that night too & sitting right next to Violet along w/ my 13 yr old niece (that Sara tweeted about after the show)! I absolutely love love love Sara..not just for her amazing talent but for being a great person. She’s sooo down-to-earth…my niece is definitely inspired to be like Sara (My niece actually dedicated a song to her: http://www.youtube.com/watch?v=_Z324-D1Ow4). Thank you again for this review. I will never forget that amazing night. i wholeheartedly agree with everything you said 🙂 great review! i can’t wait to meet Sara Bareilles one day. I did download her live MP3, but haven’t had a chance to listen yet. Thank you for your note. Perhaps I’ll see you at a show. awwww. that’s very unlikely, since i’m here in the Philippines and i have no plans of going to LA soon :)) oh well. i really can’t wait for the day when Sara would come and visit this tropical country.